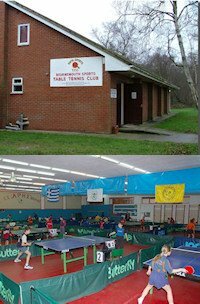 St. Luke's Table Tennis Club is a small club in Slyne, on the outskirts of Lancaster, England. We have 4 tables in St. Luke's Church Hall, Shady Lane, Slyne with Hest, Lancaster, Lancashire, England. LA2 6JG. We have a busy open play session from 5.30pm till 6.45pm on a Monday evening. This is open to visitors and members and a Ladies hour from 5.45pm till 6.45pm on a Tuesday. Visitors are very welcome to this small group of improving players. £1 per session. We also run a junior school session on a Monday from 4.30pm till 5.30pm. We run 4 teams in the local league - two in the premier and two in the 2nd division. 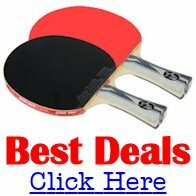 Matches are played on a Monday and Tuesday evening. A and B play on a Tuesday, whilst the C and D play their matches on a Monday evening. We are always on the look out for quality players to play in our teams. We have 2 junior school teams playing in the Bay League. Coaching is available at the sessions mentioned and extra sessions can be booked through the coach Martin Wakelin, ETTA Level 2. The extra sessions are charged at a reasonable rate.